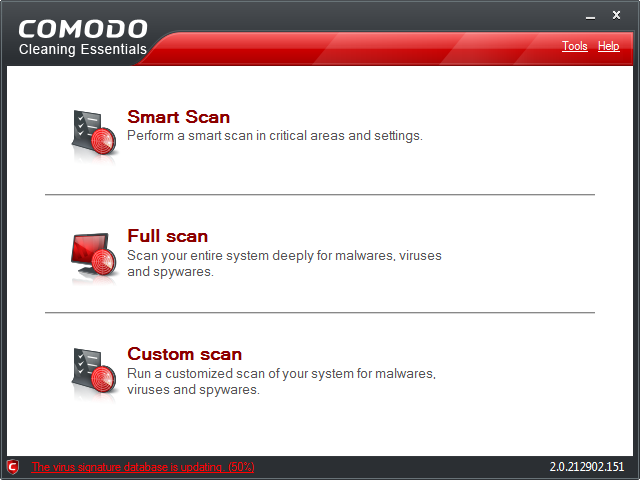 Comodo Cleaning Essentials is a set of portable antivirus tools that will help you to detect and remove malware from an infected PC. If you think your system has contracted something nasty, for instance, but your regular antivirus package hasn't noticed anything, then you can have Comodo Cleaning Essentials scan your PC and deliver a second opinion. The program can check your entire system, or just the areas you define, and provides some interesting configuration options that you won't always see elsewhere.